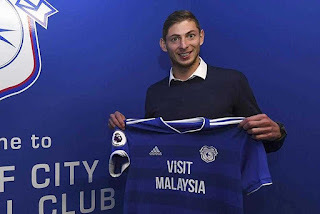 has been officially been identified as Cardiff striker Emiliano Sala. The 28 year old Sala and pilot David Ibbotson 59, have been missing since the plane they were flying in lost contact with Air Traffic Control on Monday, January 21. The chances of finding anyone alive was slim. 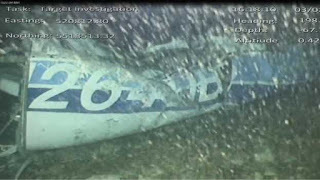 The Piper Malibu aircraft was found on the seabed of the English Channel on Sunday morning - and the footballer's body was spotted and recovered from the wreckage by Wednesday. "The body(Emiliano Sala's body) brought to Portland Port today, Thursday 7 February 2019, has been formally identified by HM Coroner for Dorset as that of professional footballer Emiliano Sala. Sala's multi million pound transfer from Nantes to Cardiff had been announced just two days before the plane went down. "Hello, my brothers, how are you? Boy, I’m tired. I was here in Nantes taking care of things, things, things, things, things, things, and it never stops, it never stops, it never stops. Anyway guys, I’m up in this plane that feels like it's falling to pieces, and I’m going to Cardiff. [It's] crazy, we start tomorrow. Training in the afternoon, guys, in my new team... Let's see what happens. So, how's it going with you guys, all good? If in an hour and a half you have no news from me, I don't know if they are going to send someone to look for me because they cannot find me, but you will know... Man, I'm scared!" Devastated Fans have been paying tribute to Sala at a shrine outside the Stade de la Beaujoire. Sala a popular goalscorer for the French club, joined Nantes in 2015. What would have been his new club, Cardiff released this statement: "We offer our most heartfelt sympathies and condolences to the family of Emiliano.